If you own a Dodge Journey or Grand Caravan, you picked the vehicle because you care about your family’s safety and don’t want to sacrifice comfort as well. 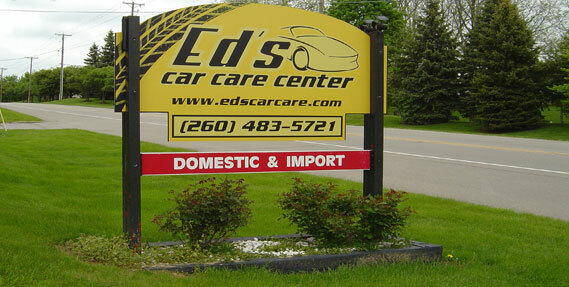 At Ed's Car Care Center, we understand how important safety is to you and we make sure that all of our Dodge repair work uses OEM and approved parts so you can rely on your vehicle again. Our certified technicians will diagnosis, repair and test your vehicle systems before you get back out on the road to make sure everything is in good working order. There is no need to sacrifice safety if your choice in vehicle is more about speed and power. Bring your Dodge Avenger or Challenger in to us and we can make sure that your performance power is returned to its original state with an ASE Certified technician performing your Dodge repair. Ed's Car Care Center's technicians see a vehicle as more than just parts; we understand the meaning it holds in your life. Performance and power are just as important to us as making sure your Dodge repair work is done correctly and ensures your driving safety. Call or drop in to our convenient Fort Wayne location to see what we can do for you. Our friendly and professional staff will explain the Dodge repair estimate and options for parts and work. Make sure to check out our service specials to keep your vehicle in the best working order it can be and avoid costly repairs associated with wear and tear. 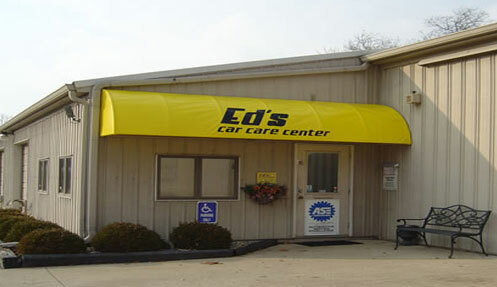 At Ed's, we work to make sure your vehicle is running smoothly and safely. Address: 7811 N Clinton St.